A Pink's Bomi went for a sassy, red concept in her individual "Miracle" teaser images. Bomi is the second member up to tease fans for the group's special single, which is a song that celebrates A Pink's 7th anniversary since debut. "Miracle" will be out this coming April 19 just a few days before A Pink's 7th anniversary fan meeting 'Pink Cinema' on April 21. 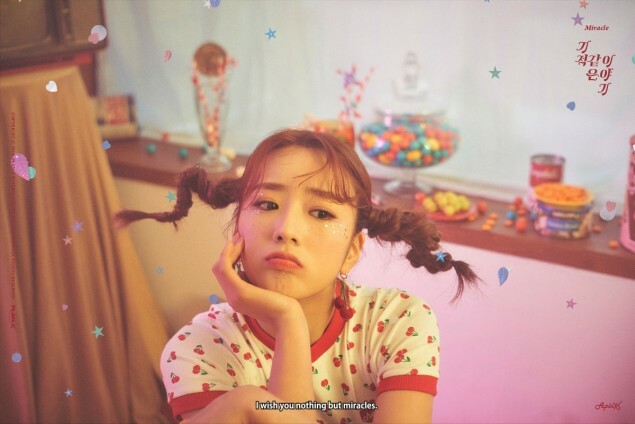 Do you like the Pippi Longstocking braids on Bomi?